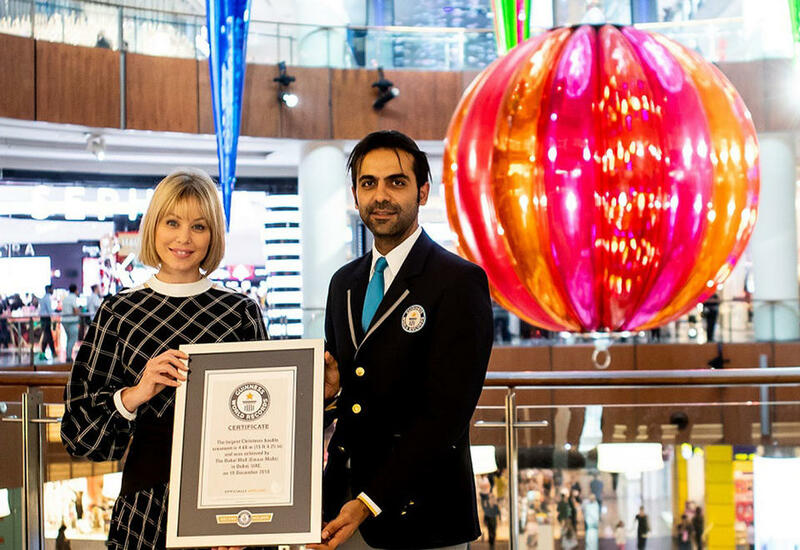 The Dubai Mall has broken the Guinness World Record for the largest festive ornament. 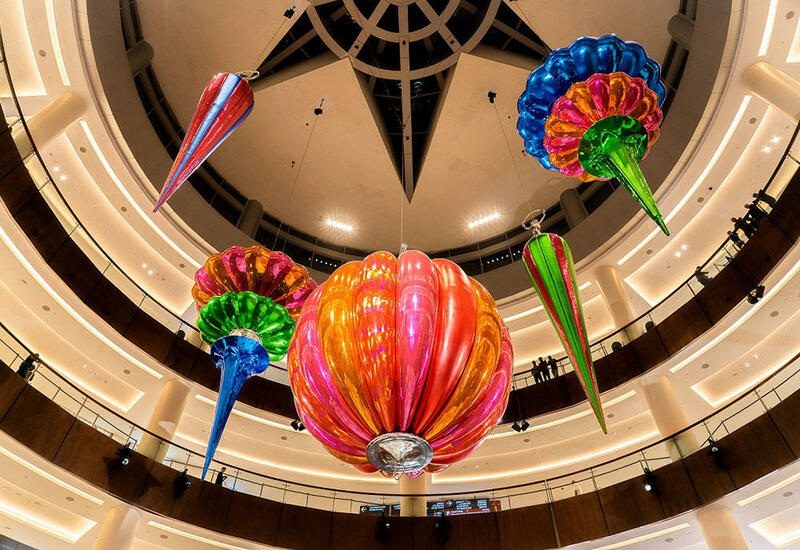 Visitors to the shopping mall, which is the also the world’s largest, can view the 1,100 kilograms Christmas bauble ornament in the mall’s Star Atrium, where it is arranged in a composition of a total of five giant ornaments. 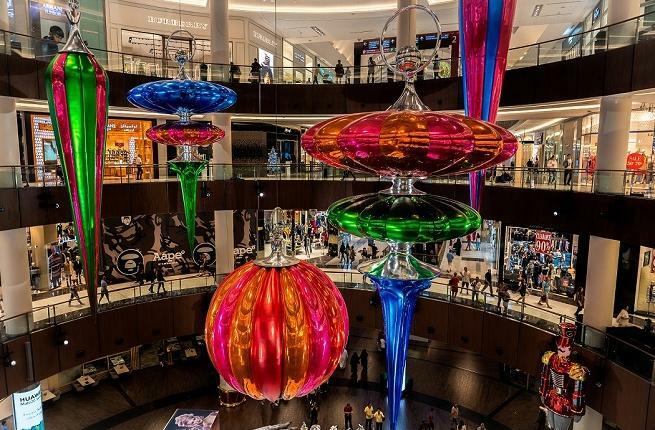 The metallic ornament was bespoke made for Dubai Mall’s festive campaign by American design firm Venue Arts and took two days to assemble and hoist. It measures almost 6.597m in height with a diameter stretching 4.689m wide. The Dubai Mall last year revealed the world’s largest OLED (Organic Light Emitting Diode) screen at the Dubai Aquarium & Underwater Zoo. 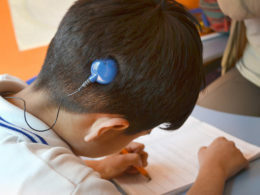 It was the result of a partnership with Emaar Entertainment and electronics company LG. 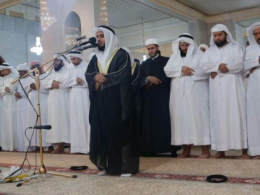 The screen measured 7,639.03 sq ft with a resolution of 1,700,352,000 pixels.